Chocolate Tempering — What the Fruitcake?! It's a method of melting and cooling the chocolate so that it forms the right kind of crystals so that the chocolate has a smooth and glossy finish once set. It has a good snap and will have a lovely smooth mouth feel. When used in moulds it comes out with a beautiful gloss, it also releases from the mould easily as it retracts slightly as it sets. If you simply melt chocolate and let it cool it will set with unattractive grey streaks or spots, called blooming. If eaten, the texture will be grainy and it won’t melt smoothly in the mouth. When you temper chocolate the end result is shiny, even colored, smooth melting and with a crisp snap. Basically, tempered chocolate is what you want because it’s better in every way. The reason for the difference is a bit complicated, it has to do with different types of crystals forming in the cocoa butter at different times, to understand it fully you’d have to learn about the behavior of the chocolate crystals at a molecular level. All that we need to know is that with tempered chocolate the crystals have formed in a uniform way which gives us great looking and tasting chocolate. It's best to use a couverture chocolate when making chocolate treats. I like to use brands like Velrhona, Belcolade or Callebaut. Couverture chocolate is a very high quality chocolate that contains extra cocoa butter (32-39%). The higher percentage of cocoa butter, combined with proper tempering, gives the chocolate more sheen, firmer "snap" when broken, and a creamy mellow flavor. The total "percentage" cited on many brands of chocolate is based on some combination of cocoa butter in relation to cocoa solids (cacao). In order to be properly labeled as "couverture", the percentage of cocoa butter must be between 32% and 39%, and the total percentage of the combined cocoa butter plus cocoa solids must be at least 54%. Sugar makes up the remainder, and up to 1% may be made up of vanilla, and sometimes soy lecithin. Couverture is used by professionals for dipping, coating, moulding and garnishing. The term "couverture chocolate" should not be confused with "confectionery chocolate", "compound chocolate" or "summer coating": these products have a lower percentage of solids, and they may also contain vegetable oil, hydrogenated fats ("trans fats"), coconut and/or palm oil, and sometimes artificial chocolate flavoring. Some brands of couverture chocolate are packaged tempered, and others are packaged untempered. Subsequent tempering may or may not be required, depending on the usage and the desired characteristics of the final product. Why is it important to use couverture for chocolate making? It is by far a superior product to the average chocolate bar like Cadbury’s etc. which may also contain ingredients like vegetable/coconut/palm oil, hydrogenated fats and sometimes artificial chocolate flavoring which can have unpredictable results when tempering and used to make your own chocolates. As far as flavour, couverture chocolate is also superior in this regard as manufacturers like Valrhona, Callebaut etc are very strict with sourcing their cocoa pods and only buy the best. Make sure that if you’re using chocolate chips or callets that they are also couverture and specifically meant for chocolate making. For the above reasons as well as that normal "bake stable" chocolate chips have other additives in them that help them maintain their shape in baked goods like cookies. These additives stop the chocolate from tempering properly. If you’re not sure, rather buy your couverture in bars or slabs. Basically, to get a great end result you need to use the best ingredients that you can get. That applies to all baking and cooking, and especially to chocolate making. If you can’t get couverture or a higher end chocolateand would simply prefer to get your chocolate at the local market, choose brands like Lindt or Green & Blacks. Just remember, don’t get ordinary chocolate chips, they have additives in them that will hinder the tempering process. 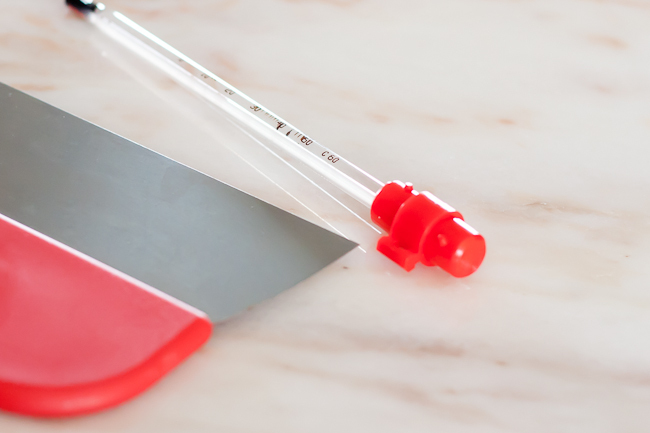 There are other methods of tempering that don’t require a thermometer and can either be melted in a double boiler or in the microwave, but these two methods of tempering that use a thermometer are very accurate ways of tempering and you'll get great results. 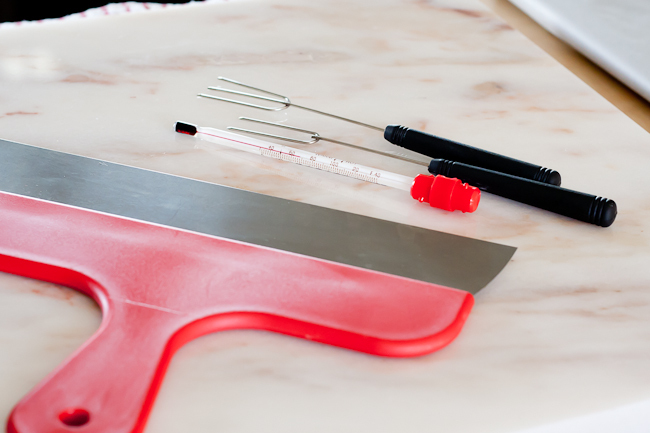 I personally have more success with tempering on a cold surface likfe marble or granite, but the seeding method is less messy and you don't need to worry about a cold surface to temper on if you don't have a suitable surface. Chocolate is melted and heated until it reaches 45°C / 113°F. It is then poured onto a marble surface and moved around the surface with a scraper until it has thickened and cools to 27°C / 80.6°F. Once cooled it is then put back into a bowl and put over heat to bring it back up to 32°C/30°C/29°C / 89.6°F/86°F/84.2°F depending on the chocolate you’re tempering. It is now ready for using in moulds, dipping and coating. Tip: Make sure that your bowl fits snuggly into the saucepan so that there’s no chance of steam forming droplets that may fall into your chocolate. If water gets into your chocolate it will seize! Tip: If you’re using the chocolate to dip a lot of truffles etc which means the chocolate will be sitting off heat for a while it will naturally start to thicken as it cools. To keep it at an ideal viscosity for even coating, put the bowl over steam for 30sec - 1min every 5 - 10mins, just do not let the temperature go over the working temperature! Tip: Remember, don’t let any water get into your chocolate at any stage of the tempering process! Chocolate is melted and heated until it reaches 45°C / 113°F. 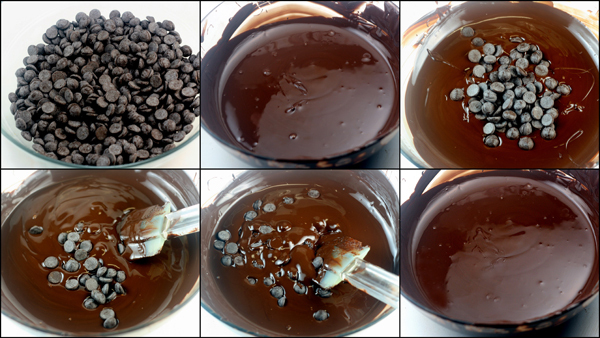 Tempered un-melted chocolate is then stirred and melted in until it brings the temperature down to 27°C/80.6°F. It is then put back over heat and brought up to its working temperature of 32°C/30°C/29°C / 89.6°F/86°F/84.2°F depending on the chocolate you’re using. It is now ready for using in moulds, dipping and coating. If you still have a few unmelted bits of chocolate, put the bowl back over the simmering water, stirring gently and watching the thermometer constantly. - Tip: If you’re using the chocolate to dip a lot of truffles etc which means the chocolate will be sitting off heat for a while it will naturally start to thicken as it cools. To keep it at an ideal viscosity for even coating, put the bowl over steam for 30sec - 1min every 10 - 15mins, just do not let the temperature go over the working temperature! - Tip: Remember, don’t let any water get into your chocolate at any stage of the tempering process! - Unless you’ve been working with chocolate for a while and have developed a feel for the tempering process and can tell the chocolate’s temperature by touching it to your lower lip like a pro, it’s imperative that you use a thermometer to determine the temperature, as going a few degrees either way can ruin the temper. - If at any stage you do make a mistake with the tempering process you can simply start again from the beginning. 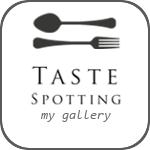 Posted on August 27, 2011 by Mandy Mortimer and filed under Daring Baker, Method and tagged Chocolate Tempering Marble Top Seeding Method.